Our ceramic restorations lab has considerable experience in ceramic restorations, including IPS Empress® ceramic restorations. Based on our experience, there is significant demand for optimal esthetic restorations like those which are expertly done in our ceramic restorations lab. It is a well-known fact that earlier technology in a ceramic restorations lab resulted in restorations that were brittle and costly to repair. 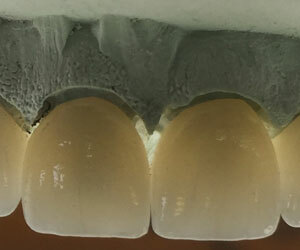 That is why our ceramic restorations lab has adopted the use of IPS Empress® ceramic restorations. Their heat-pressed ceramic is incredibly strong and durable. The incredible results from our ceramic restorations lab have provided a dramatic effect on the appearance of dental patients locally and beyond. Our ceramic restorations lab has an intense interest in enhancing the health and functionality of natural teeth. Our ceramic restorations lab is experienced in natural-looking restoration of crowns and bridges. Crowns with IPS Empress® ceramic restorations are completely metal-free, and are renowned for properties that include strength, durability, and exceptional shade matching to natural teeth. And as with IPS Empress® ceramic restorations of crowns, IPS Empress® ceramic restorations of bridges similarly provide a natural looking way to replace missing teeth. 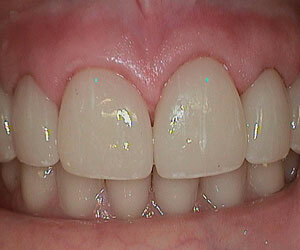 In fact, IPS Empress® ceramic restorations of bridges are difficult, if not impossible to spot. They restore symmetry and beauty to the smile. Our ceramic restorations lab technicians have the expertise to achieve optimal esthetic results that meet the expectations of the dentist and patient. All ceramic restorations provide a better color match, including IPS Empress® ceramic restorations. The extremely homogeneous leucite-based IPS Empress® ceramic restorations scatter light naturally, and provide a chameleon effect for optimum shade match. 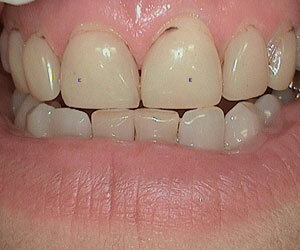 Its use attracts dental patients because of the translucency and lifelike appearance. Our experienced ceramic restorations lab recognizes the importance of superior esthetics in the restoration of dental defects. In the use of all ceramic restorations, including IPS Empress® ceramic restorations, single-tooth applications, such as veneers, inlays, onlays and crowns, the end result is a consistently harmonious blend with their natural environment.